In the story of your life each day is a page and how better to fill your chapters than with time at the beach. 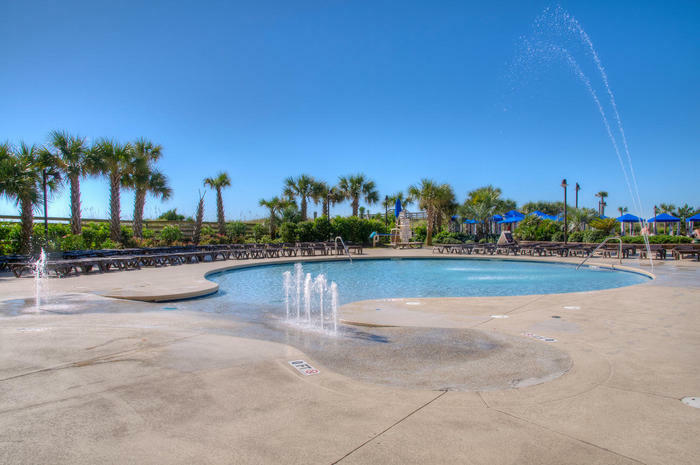 Every day is better at the beach and when you stay in an outstanding resort, like North Beach Plantation Jasmine Tower, you will be able to make the most of every moment of a vacation in North Myrtle Beach, South Carolina. Situated in the beautiful Windy Hill area of the city North Beach Plantation Jasmine Tower is a luxurious oceanfront resort that boasts incredible vacation rentals. Like an oasis in the desert this resort is will provide just what you need when you need it the most. This 18 story resort sits parallel to the shoreline and every condominium offers a private balcony that delivers an oceanfront view that will inspire you to simply relax and enjoy your time on the South Carolina shoreline. This resort provides a wide variety of luxurious amenities for guest comfort, convenience and entertainment. Each condominium that North Beach Plantation Jasmine Tower offers has all the creature comforts of home and so much more. With spacious floor plans you can bring the entire family for a once in a lifetime South Carolina beach retreat. The three-bedroom, three-bathroom luxury vacation rentals can sleep up to 10 guests. These condos provide beautiful furnishings and stunning views of the miles of beautiful South Carolina shoreline that stretch below. Floor to ceiling windows let in the warm South Carolina sunshine and the private oceanfront balconies are furnished and provide an excellent spot to enjoy your first morning cup of coffee as you watch the sun rise over the Atlantic Ocean. The oceanfront sun deck of North Beach Plantation Jasmine Tower is gorgeous and expansive with a Caribbean feel. Every minute spent relaxing in a lounge chair or a private cabana will be sheer pleasure. The resort boasts over three acres of pools as well as other astounding water features. Guests will find that they can even swim up to the bar to retrieve cooling refreshments as they enjoy time in the sparkling clear swimming pool. This astounding resort truly provides every luxury to enhance guest enjoyment of a Myrtle Beach vacation. Pamper yourself by reserving your vacation time in one of these lavish South Carolina vacation rentals and prepare yourself to relax and enjoy a once in a lifetime dream vacation. Elliott Beach Rentals is not affiliated with onsite management or the HOA of North Beach Plantation Jasmine Tower.